Coconut Milkshake is a famous Vietnamese drink. 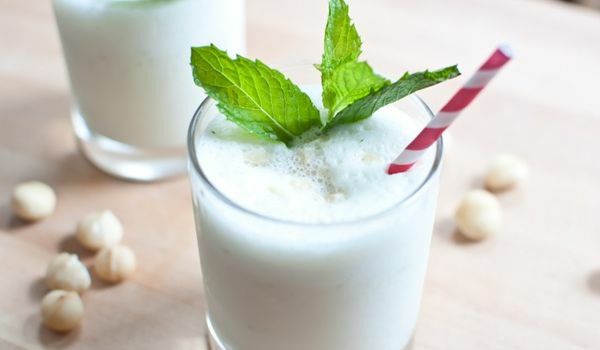 Learn how to make/prepare Coconut Milkshake by following this easy recipe. Blend banana, sugar, coconut milk, and mint leaf in a food processor, until smooth. Place half a scoop of ice cream in the bottom of a glass and pour in the blended liquid. Place the remaining half scoop of ice cream on top. Serve with a tall serving spoon.